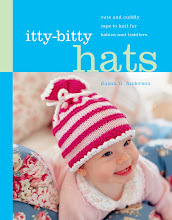 Susan B. Anderson: Happy Again ~ Little Skein Kit Giveaway! 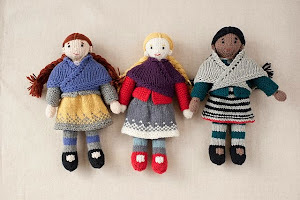 Happy Again ~ Little Skein Kit Giveaway! 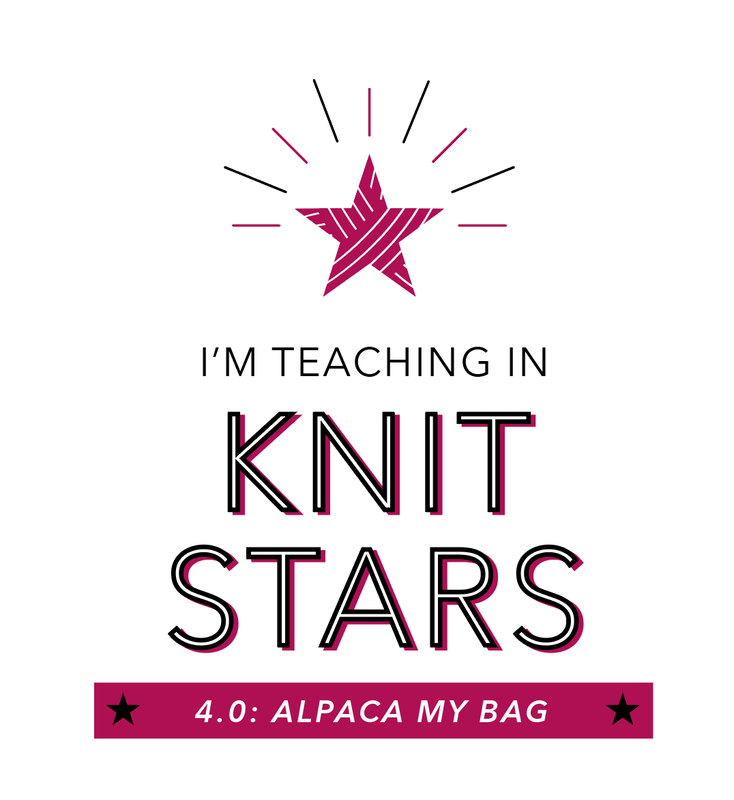 First, I have to tell you that the registration for classes at Vogue Knitting Live in New York City have gone live and are open for sign-ups now! I am teaching a bunch of classes and I would love to see you there in January 17-19, 2014. I am super excited about this teaching event and it will be my first VK Live in New York and I am teaching all three days. What a privilege to be included. Click here to see the classes being offered in New York! I have something big and exciting and fun for you today! 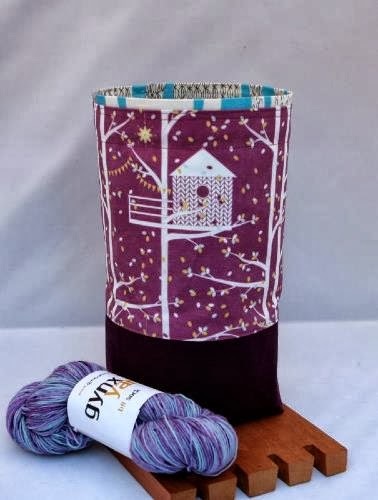 I've been waiting for the right time to share this amazing sock kit collaboration put together by Anne Vally, the creative talent behind Little Skein in the Big Wool. 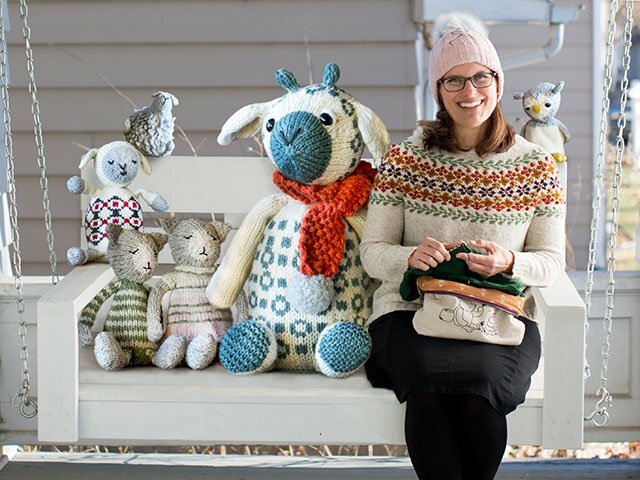 The kit includes the talent of Anne herself, Laura of Gynx Yarns, and Laura Linneman of The Knit Girllls. 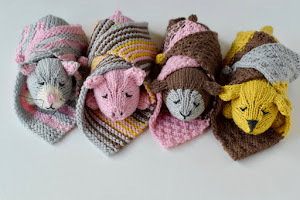 All of these lovelies were inspired by the yarn-y children's book, Extra Yarn. Little Skein in the Big Wool website! 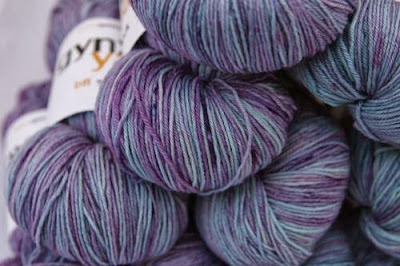 Gynx Yarns ~ Please go look at this Etsy shop! Laura's yarns are gorgeous and unusual. I am going to have to order some for myself. She has lots of stock and her shop is always full of incredible yarns. I love that. The Dyer's Notebook (Laura's podcast) ~ It's a good one that I watch all of the time. 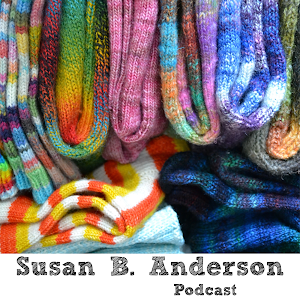 The Knit Girllls Laura Linneman's fantastic podcast! This is a huge list of talent! The Happy Again Kit is a combined force of knitting nature and we are so lucky that they came together. The book, Extra Yarn, is a Caldecott Honor Book, the artwork is interesting and knitters and children alike will love this story. 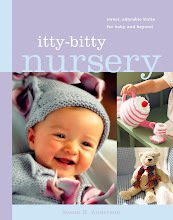 The yarn was specifically designed and inspired by the book and created exclusively for this kit. Laura's socks are the perfect compliment to this rich, interesting, lightly speckled yarn. 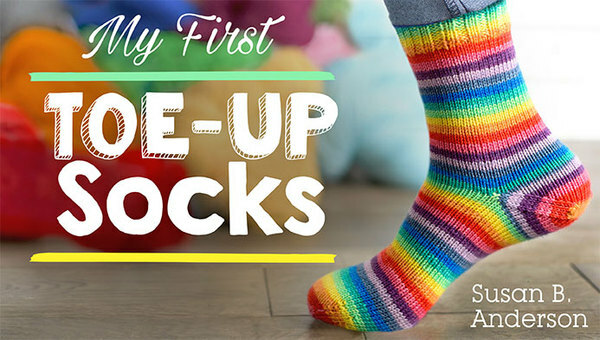 The pattern is for toe-up style socks and is sized for kids through adults. I think these will be my first toe-up socks! I'll keep you posted on my progress. If you'd like to add the book to your kit, just select this option in the listing as you check out. If you would like an extra skein of sock yarn (or duplicates of any other kit items), please add one of the separate listings to your shopping cart. 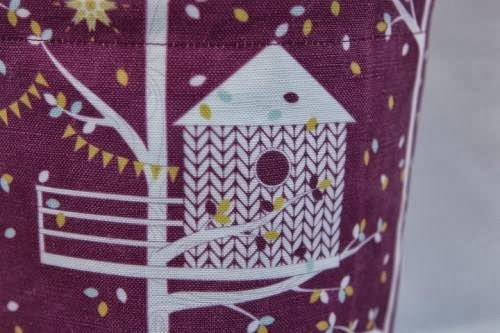 Here is some information from the Little Skein Etsy shop about the project bag. Do you remember my Little Red Riding Hood bag that I love so much (they are on pre-order right now on Little Skein ~ go order one!)? And my Llama Bag? This is the same maker/designer and her bags are exquisitely made, such detail! Anne Vally designed the fabric exclusively for this kit!! It is a great print and the inside is just as good. -- Made with a canvas bottom, so the bag will stand on its own but still be "floppy" enough at the top to enable your working yarn to pull neatly from the bag. The kit would be an excellent gift for any knitter or just for yourself! I think this would be about the best gift around for the coming holiday season. I would love to receive something like this. Laura from Gynx Yarns is smart and talented. I love her work! Just look at this yarn, it is beautiful. I have quite a few tiny glass vials with a cork stopper from Little Skein sitting on a shelf in my studio. These are the first stitch markers I reach for when I'm working on a project. I have purchased many sets and use them all of the time. I am a huge fan and I've even hosted giveaways for them in the past. I joined Ann's Wizard of Oz Stitch Marker Club as a treat and I wasn't disappointed. I love them all so much. You will receive a set of 8 snag-free stitch markers that fit up to a size US 9 or 5.5mm knitting needle, in your choice of design: Annabelle (in a scarf) or Annabelle's Treehouse, packaged in my signature corked glass bottle. The master marker features a 12mm cameo base with glass cabochon, and you will also received 7 handcrafted beaded ring stitch markers. My stitch markers are made out of substantial 18-gauge base metal with a color-coordinated Japanese glass seed bead. The ends of the ring are secured inside the bead, so the stitch marker is completely smooth to the touch and will not snag your knitting. 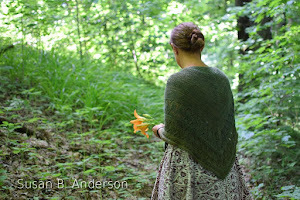 The kit is selling for $75 on the Little Skein shop right now. There are choices available and you can order some of the individual pieces of the kit on the shop as well. The book can also be included with the kit. Ann is a smart, reliable and wonderful shop owner. Her customer service is fantastic and that's a big part as to why her shop is doing so well. Today I am so happy to offer you a chance to win a Happy Again Kit!! Please leave one comment (be patient for your comment to appear, it takes some time, and please don't leave multiple comments)! 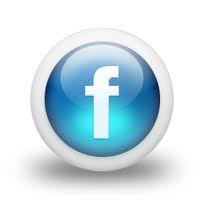 Your comment must include an email address or your Ravelry ID. I will randomly select a winner in a few days. Thank you to Anne for bringing us this huge opportunity! Thank you to the fantastic designers and talents that came together to make this inspiring kit. If you don't win the kit here please check out the Little Skein Etsy shop and order a kit. You won't be disappointed. I received a kit to review from Anne and I can't get over the quality of every piece included! Love the book and the kit. Looks like agrat gift for the holidays. Congrats on teaching at VK! Thanks for the great giveaway! 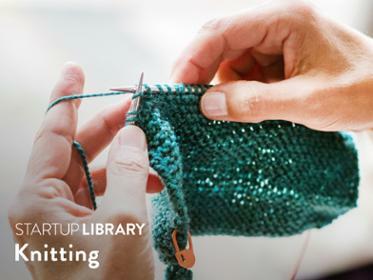 I love the idea of a children's book being included with a knitting pattern. I work in a children's library and have read the book on numerous occasions - what fun it would be to wear a pair of these socks next time I read it. Kids and parents do notice what I wear. Wow, what an amazing giveaway! I am particularly smitten with the project bag. Thank you for the chance to win this great kit...! Great giveaway..!! What a fantastic kit! Thanks for the chance to win it! What a great kit! I'm Talvi on Ravelry. What a great kit! Thank you for sharing and the opportunity to win one! So kind of you! Just resuming knitting after a long hiatus. Thanks for sharing! Everything about this is beautiful!! You are so kind! Just resuming knitting after a long hiatus. Thanks for sharing! What a wonderful give-a way! I would love to win. I love your blog and happy knitting. Your kits are adorable. You know mine will be tiny. I have a nephew's newish son that needs toys. Yours are perfect. This set is wonderful! I would love to win it- thanks for the opportunity. What a wonderful kit! I would love to win it- thanks so much for the give away. Wow that is one cute kit! Another great give away.....Sure hope I win!!!! I must get another pair of socks on the needle and would these not be just perfect! What a great project bag too. Thanks so much for the great giveaway! I love this give away! I love well thought through kits! I'm deadlysmurf on ravelry! What a cute idea! I would love the opportunity to win this! It's me, Pattytrish(Rav ID)!! 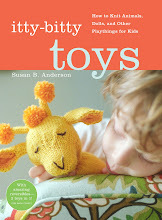 I love this Children's book too, and I would love to have a copy and those stitch markers, to die for! Yarn too, everything! Love it all! Our son gave me this book for Christmas last year! Our grandchildren loved it and asked us to "read it again" many times. This kit is a wonderful combination of yarny goodness! Thanks for a chance to win it. Soooo wish I could go to VKL in NYC! That would be amazing. I am so thankful you introduced us to little skein. Her stuff is adorable! and this kit is no exception. What great fun! I don't think there is a prize I've wanted to win more than this one! I must knit up a happy little drawer full o' socks too! Awesome giveaway. I must knit up a happy little drawer full o' socks!! That is the most beautiful kit i have ever seen. gorgeous yarn, pattern, bag, stitch markers! love it! Love all those beautiful must haves! Could sure use those for Christmas gift making. I LOVE this book, it's one of my favorites. The story is lovely and the illustrations are amazing. It makes a great read-aloud book for my kids' classes. What a great kit! Thanks for the chance to win it. What a great prize and congrats on teaching at VK. You have the BEST prizes! Keeping my fingers crossed! Thanks! A simply wonderful giveaway, thank you. Would love a chance to win this awesome kit! What a great goody bag! I hope to knit a pair for our whole family for this Xmas! I think win or not this pack will end up in my house. Thanks for the great giveaway! The project bag and yarn are beautiful! I really enjoy your blog, and seeing what new things you're coming up with. Keep up the great work! Looks like a great kit. Thanks for a chance to win! Looks like a great kit. Thanks for giving me a chance to win. This is an awesome kit!!! I love toe up socks..and the yarn looks yummy! ...and the bag and stitch markers wow! I need some Happy! 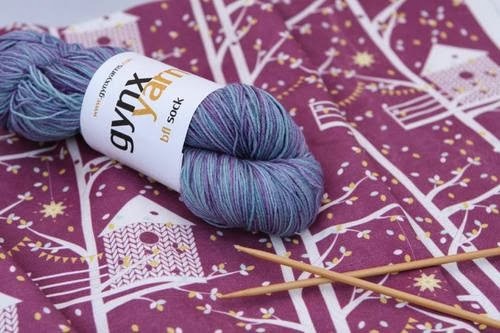 Gynx Yarn looks like it has amazing depth. Love it! What a wonderful kit! I would love to gift it to my daughter, but it would be hard to part with! Thank you for the chance to win! Just one word: FABULOUS. !!!! LOVELY! It also is right up there with my desire to knit more socks! Love that book, looks like a wonderful kit! Thank you for a chance to win a great kit. Thank you for more inspiration! Just added to wish list. I love the kit! Everything about it is perfect! What a great kit! I'd be thrilled to win it. everything looks so beautiful! can't wait to knit it! looks like a great! kit - can't wait to knit it! I would love to win this kit. It is such a great idea. Two of my favourite things, books and hand knit socks. I'd love to win. Thanks for the perfectly lovely giveaway........ and the intro to new things! What a great give away. I love those stitch markers. This would be great to win. I would love to win too - if those in the UK are eligible. This is wonderful! I think I may need to get that book for my tiny person who gets all my sock efforts. I would like to try a new yarn and a new pattern. The other goodies are pure gravy. What a sweet deal, everything is beautiful. You are such an enabler. Wonderful! I made need to get that book for the little person who gets all the knitted socks. What a wonderful kit! And what a wonderful opportunity. Thank you for both! I have several children with whom I would love to share this book. Another bag would not be unwelcome! This is such a lovely kit, and I can't wait to read the book! EXTRA.....is such a fun book!!! this kit looks just fabulous! I love to knit socks and the temps. are just about to cool to sock weather. Thanks so much for this wonderful give-away! What a wonderful kit! And a great giveaway. I love LaLas designs and I'd love to try the rest go the products too!! 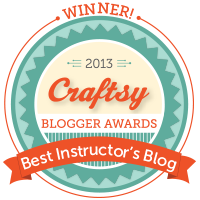 I just started reading your blog and I love it! my sock drawer wants to be like yours when it grows up. The kit is gorgeous. What a wonderful kit! Thank you for the opportunity to see it and read about the book. Extra Yarn is my favorite book! This kit is amazing! Amazing giveaway! Thank you Thank you! what a nice giveaway!! Thank you so much for your wonderful blog and generosity! Such a cute kit and great idea! Would be grateful to receive the gift that keeps on giving! Thanks for the opportunity! I bought the book to share with my granddaughter. What fun it is. The kit would be greatly appreciated! What a nice giveaway! You are such an inspiration to so many. Thank you! Love everything about this kit! On my way to Etsy right now to look at all these shops. Thanks for another great giveaway! What amazing talent. Everything is beautiful! I will definitely check out all the links. And congrats to you on VK! 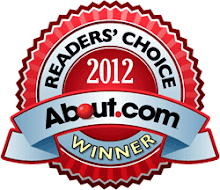 What a wonderful honor, one you richly deserve! 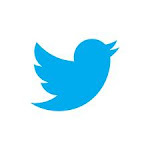 This is a super giveaway! I love the colors/dyeing of that yarn. I have those stitch markers and I love them, too..they're perfect for my lace knitting and they're pretty, too. I love the book and have read it to my grandchildren many times. Love it! I've been eyeing the book for some time. Thanks for the contest. Beautiful yarn! Thank you for a great opportunity to win! Thank you for the chance to win this awesome kit! Its so lovely. I've been eyeing the book for some time. Thanks for the contest! My kiddos love this book and the kit is so cute! Thanks for the opportunity to win it! What a great kit! I love the project bag and the yarn! I will definitely be visiting the Etsy shop. Thanks so much for the give away. i would love to win this kit- just made my first pair of socks and ready to continue on! Great kit! I've read the book, it is adorable!! What a delightful kit! Love reading all your sock updates too...inspiring! Such a fun kit! If I won, I would make socks for myself (my mother has a bad habit of snatching every finished pair of socks so I have none for myself!). Love this kit! And I love the book--Thanks for the giveaway. What a wonderful give away. Fingers crossed!! Thanks to all concerned for the great giveaway. Wow, what a beautiful kit. Fingers crossed! What a superb give-a-way Thanks ! I would love to win such a great set! That yarn is a beautiful color. I'm etrefaire on Ravelry (the French infinitives for "to be" and "to make"). What a great kit and beautiful yarn!! 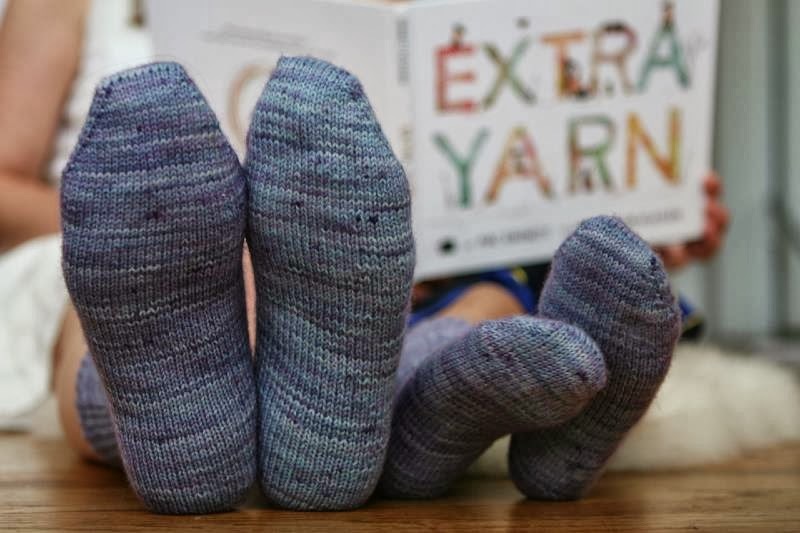 Extra Yarn is one of my kids' favorite books! I've never knit a sock -- can you believe it?? This is my opportunity! Thank you for this opportunity. This is a really beautiful kit !! 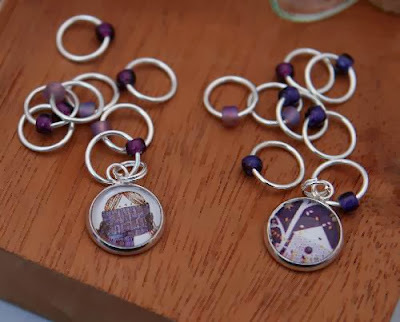 Oh I must get those stitch markers, they are soo cute! WOW! That's a great gift. Thanks so much for hosting the giveaway! I was given the book by my librarian sister, she keeps and eye out for fiber related books for me:) It is a great book! I would be so excited to win this awesome kit, what a treat that would be! 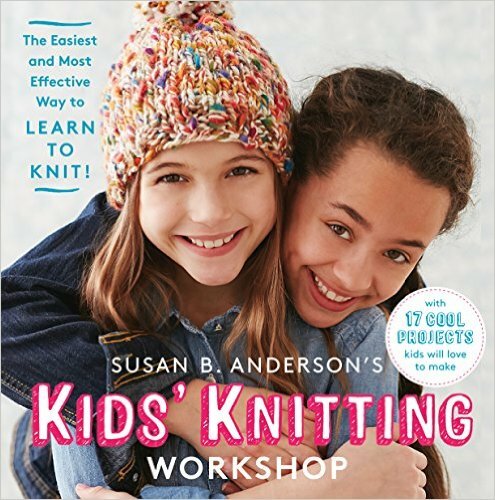 My kids and I love the book extra yarn! And that is a beautiful kit! This is a lovely give away! Thanks for the opportunity to win this kit! Wow, what a great give away. I will definitely be visiting her shop! My teacher/librarian sister gave this book to me this past summer! It is a great little story, and i keep it out on my coffee table to remind me to check my stash before buying more yarn. I love the kit; thanks for the opportunity to be chosen to win. Already love the book; the kit looks wonderful. I am natasha on Ravelry. Thanks for this great giveaway! Wow, this is fabulous. I'm Bella205 on Ravelry. Absolutely adore littleskein!!!! I have this project bag on order, but would love to have the whole kit! Thank you, Ann & Susie for the giveaway! My Rav ID is Roobee. Love love love littleskein! Thanks for this giveaway! One of my favorite children's books. The yarn color is beautiful! Thank you so much for give away Susan! Thanks for the opportunity to win sune a nice prize! I have a copy of this book and gave copies to a greatniece for Christmas. Lovely story and the illustrations are marvelous. This yarn and kit are fantastic. What a lovely kit and book! Thanks for the great giveaway. This looks neat. Thanks for the give a way. The colorway is fantastic! I'm checking out their websites now!! What a lovely book and kit. Thanks for the great giveaway! Love , love , love the yarn. What a fantastic opportunity.. Thanks. What a wonderful kit and give away. The sock yarn is gorgeous and the bag is perfect. I also love the stitch markers and the sock pattern. Perfection in a kit. I am going to order the book through our local book store because I have always loved children's books and haven't added to the collection in awhile. This looks like such a special combination of art, talent, and great quality supplies. I love Laura's yarn and LaLa's patterns. Have never owned one of these bags but would love to. Thanks! Oooh!! What a wonderful giveaway! My children and I love this book so much. I need to buy it. I just keep getting it out of the library. What a fantastic kit - I love everything about it and would love to win one! I agree this would be a wonderful Christmas present for any knitter. Thanks for the giveaway. What a fabulous kit. Love the book too. What an amazing prize! Thank you for giving us all the chance to win. I love the book and will be reading it to my students at knit club this week. jennlikestoknit on Ravelry. I guess it's time to toe-up! Wow! This looks super. Rav ID is annealden Thanks. I just finished my FIRST pair of socks! Would LOVE to try a second pair using this yarn! I would love to give this kit to my daughter for Christmas! Super cute! What a great kit! This sounds like a great giveaway! :) Thank you. I love knitting socks and seeing your sock posts.